Brgy. Bangayan, Kitcharao, Agusan del Norte, March 30, 2019 — Where the road begins, conflict ends. 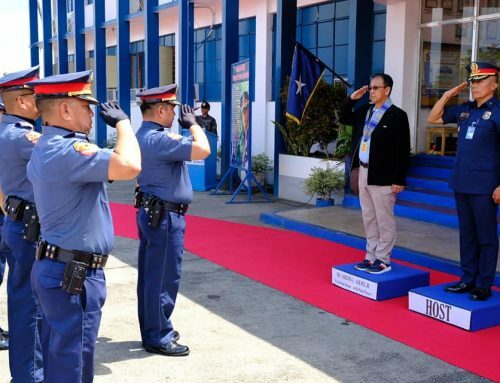 This is how Presidential Peace Adviser Carlito G. Galvez Jr. described two newly-built road projects in the province that are helping to transform once conflict-affected areas into show windows of peace and development. 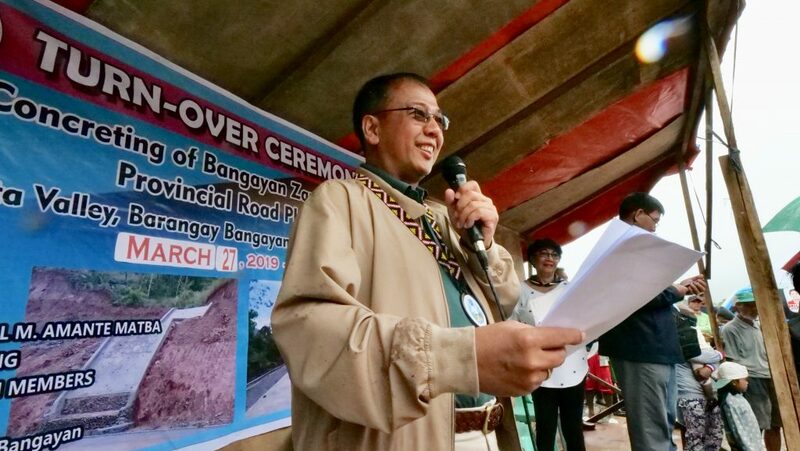 Galvez, together with Agusan del Norte Governor Maria Angelica Rosedell M. Amante-Matba and local officials, recently led the official turn-over of the Bangayan-Zapanta Valley Road and Tagbongabong-Kaularan-San Antonio Farm-to-Market Road to the beneficiary communities. The two road projects, built under the national government’s PAMANA (PAyapa at MAsaganang PamayaNAn) initiative, aim to connect production areas to communities and market centers, and help spur economic development in the municipalities of Remedios T. Rumualdez (RTR) and Kitcharao, as well as surrounding communities in Agusan del Norte. 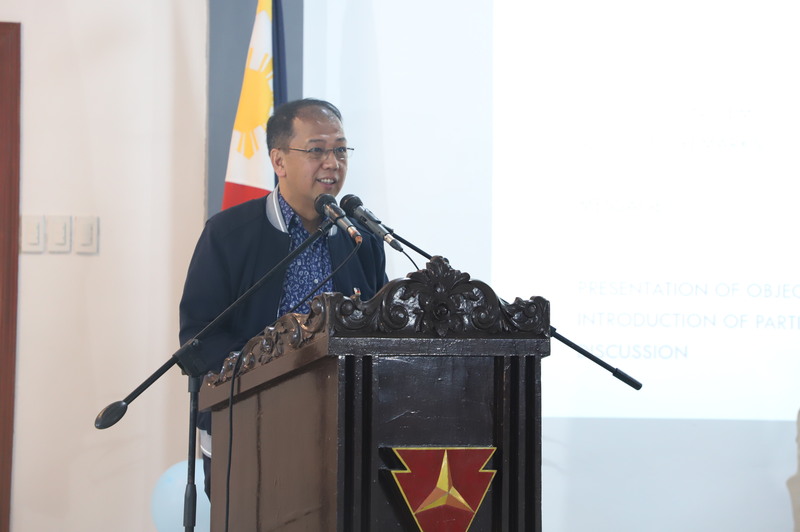 In his remarks, Galvez emphasized OPAPP’s determined efforts to implement programs and projects that aim to address the needs of war-torn communities in the countryside and consequently, bring long-lasting peace and sustainable development in these areas. “Ang mga okasyong tulad nito ay mahalaga para sa aming ahensya. 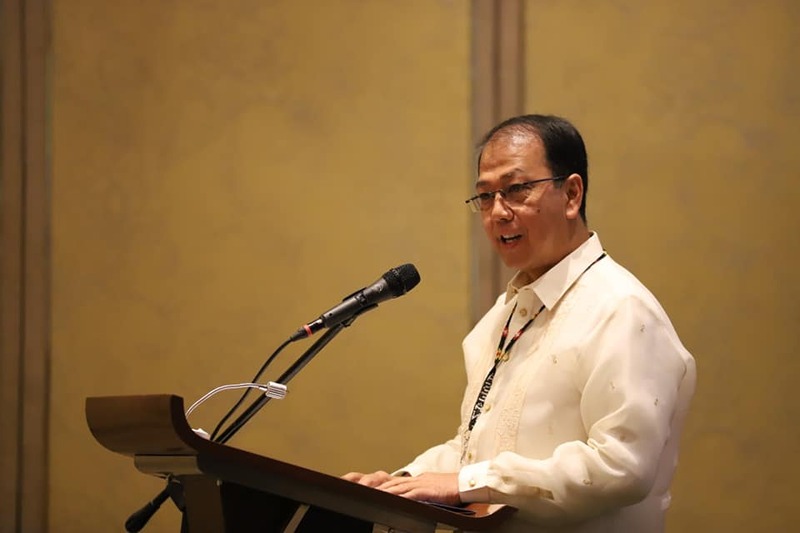 Dito namin nakikita kung paano nakakatulong ang aming mga proyekto sa mga komunidad,” said Galvez, while emphasizing the need for local governments and residents to work hand in hand to improve the well-being of their communities. “Ito rin ang pagkakataon upang malaman namin kung paano pa mas mapag-iibayo ang paghahatid ng serbisyo sa mga lugar na higit na nangagailangan ng serbisyo ng gobyerno,” he added. For many years, the town of Bangayan had been the sight of numerous armed confrontations between government troops and rebel forces. Residents referred to the barangay as a “battlefield” wherein scores of innocent lives had been lost. Due to the community’s mountainous terrain, residents had to walk for almost six hours just reach the town center. Farmers found it very difficult to bring their produce to markets and had to pay for very high transport costs. This was the same situation in Brgy. Tagbongabong where people had limited access to much-needed health, education and social services. Many felt they had been left out by government as they were unable to participate in community and livelihood activities. 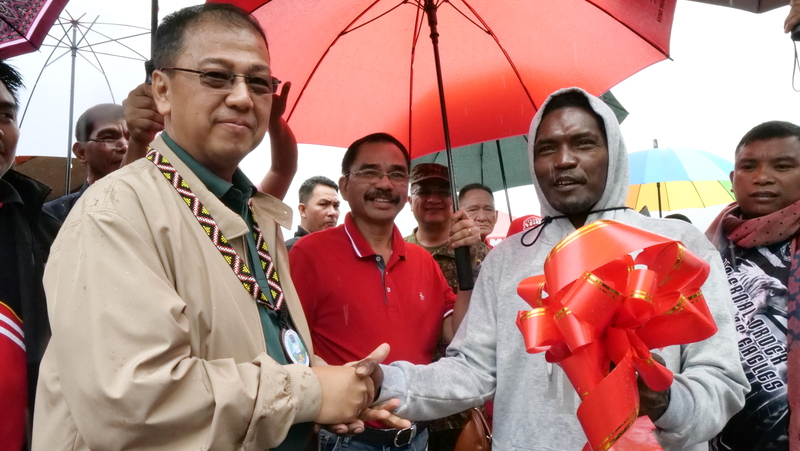 With the completion of the two road projects, residents in the beneficiary communities which are mostly composed of the indigenous tribe Mamanwas, are starting to experience the dividends of development. The incomes of village folk have risen by around 30 to 40 percent because of greater mobility. Travel time which took hours before has now been reduced to 30 minutes. The number of student enrollees has also risen by 20 percent. Moreover, residents are now able to take part in various livelihood programs offered by the government and private organizations. There has also been a noticeable increase in the number of sari-sari stores in the area, a sign of residents’ improved purchasing power. 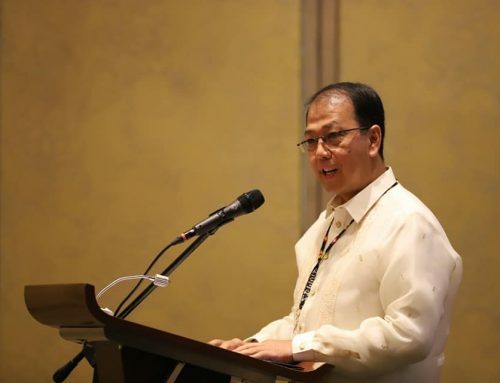 Galvez underscored the positive impacts of these projects on beneficiary communities, particularly how they are contributing to development and peace-building efforts in conflict-affected areas across the country. “Kami po ay magpapatuloy sa pagbuhos ng tulong at suporta dito sa Agusan del Norte,” he said. 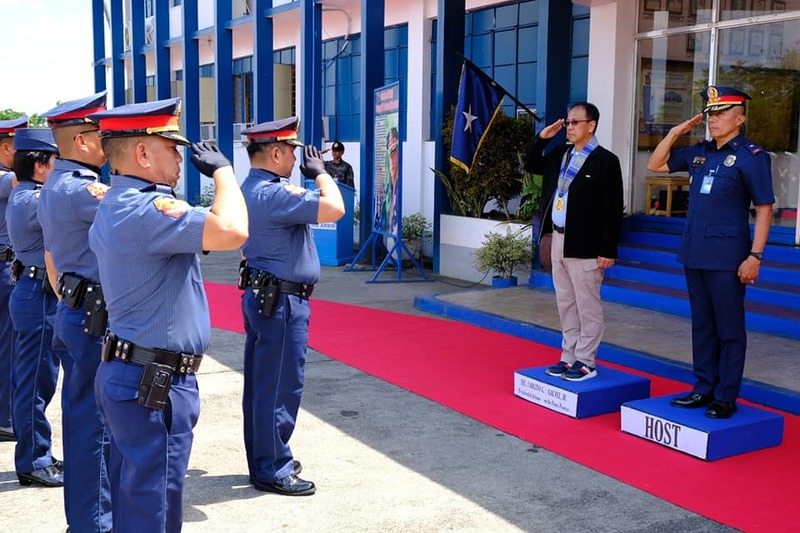 Galvez expressed his gratitude to the provincial and local governments of Agusan de Norte for fully supporting the projects, and the Armed forces of the Philippines and the Philippine National Police for securing the project and ensuring that they are completed in the soonest possible time. 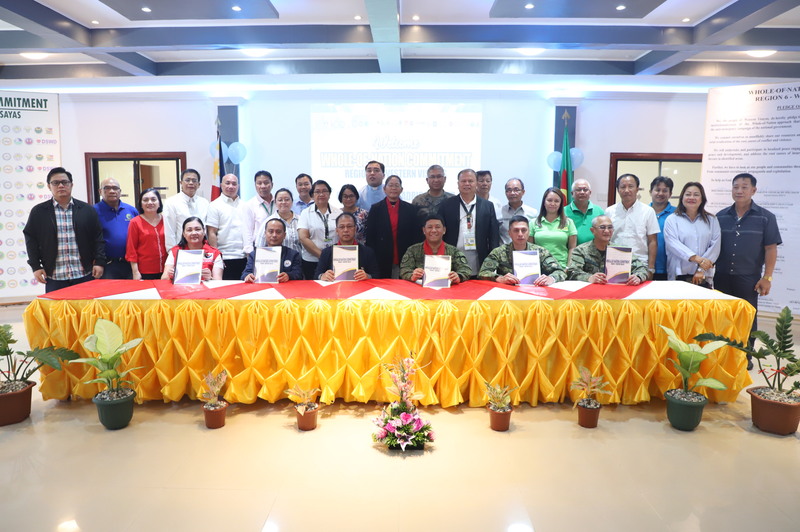 He also thanked the 402nd Infantry Brigade led by Col. Maurito Licudine and the 29th Infantry Battalion for participating in the projects’ planning phase and ensuring safety in the area during project implementation. The peace adviser also gave his commitment that all PAMANA projects will be implemented with utmost transparency and accountability as directed by President Rodrigo Duterte himself. 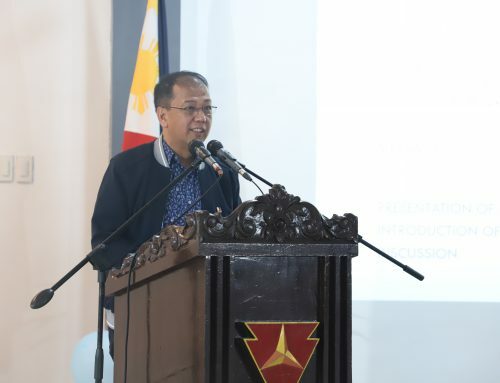 “These projects are a testament that genuine peace and development can be achieved if we unite and work together,” Galvez said. The two road projects are part of PAMANA’s multi-year implementation for 2017. In particular, they will benefit the communities of barangays Bangayan, San Antonio and Tagbongabong which have a combined population of 5,422. These projects are designed to boost the trading of farm produce, facilitate the faster movement of people and goods, and provide increased access to basic services that will usher sustainable economic growth in remote, underdeveloped areas. The second phase of the Tagbongabong-Kaularan-San Antonio farm-to-market road has a total project cost of Php 70 million, while the third phase of the Bangayan-Zapanta- Valley Road was built at a cost of Php60 million. Both road projects boast of very high quality standards. They are equipped with slope protection, cross drainage and concrete line canals. The provincial government of Agusan del Norte was the PAMANA implementing partner for the projects. For her part, Amante-Matba reiterated that “government work is not an easy task” but with the help of residents and through the leadership of tribal leaders, “we can implement projects such as these that will help empower families, barangays and communities”. “Nandito kami kasi hindi kami mga kalaban. Gusto naming lahat na tayo ay sama-sama sa kapayapaan at kaunlaran,” the governor said, adding these projects will benefit both the provincial government and its constituents. 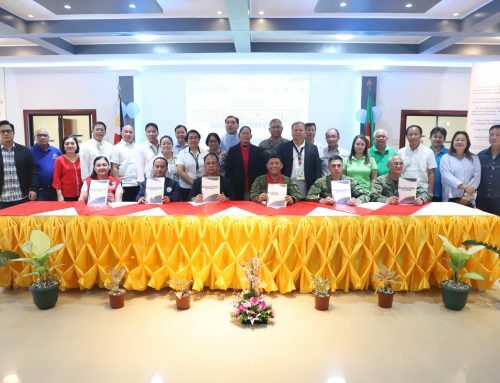 During earlier community-based consultations, stakeholders in Agusan Del Norte identified several factors which restrained the province from achieving its full economic potential such as poor roads and the insufficient delivery of basic government services. PAMANA, which is under the oversight of OPAPP, is a peace and development program that aims to bring the government closer to the people through the provision of much-needed socio-economic projects and services in far-flung, conflict-affected areas. These include the construction of farm-to-market roads, potable water systems, power lines, as well as basic health and school facilities. PAMANA also implements other support programs for indigenous peoples (IP) such as the delineation of Certificate of Ancestral Domain Titles (CADTs), formulation of Ancestral Domain Sustainable Development and Protection Plans (ADSPP), and the provision of scholarships and other social security guarantees.